The DNA My Dog (and Allergy Test My Pet) North American Shelter Program was designed to help reputable canine rescue organizations raise funds to assist in their rescue efforts through the sale of their kits. The kits are given to the shelters at no charge and the shelters sell the kits for $10 each. The fee to process the kits is then $10 less than it would cost to get the kit directly from the company - which means you, the customer, pay the same total price, but the rescue gets a donation of $10 per kit! To purchase one of these kits, please pick one up at our adoption events at the Petco across the freeway from Great Lakes Crossing Mall on Sundays from 1-4, or fill out the form below and a volunteer will contact you to make other arrangements. DNA My Dog's simple cheek swab DNA test lets you learn the breeds in your dog and gain insight into the unique genetic background of your dog including the history of their breed, personality traits, exercise levels, and so much more! A custom photo certificate of the breed’s found in your dog’s genetic breed composition. A percentage breakdown of the levels found in your dog’s unique DNA. A report on your dog’s dominant breeds, personality traits and health concerns. 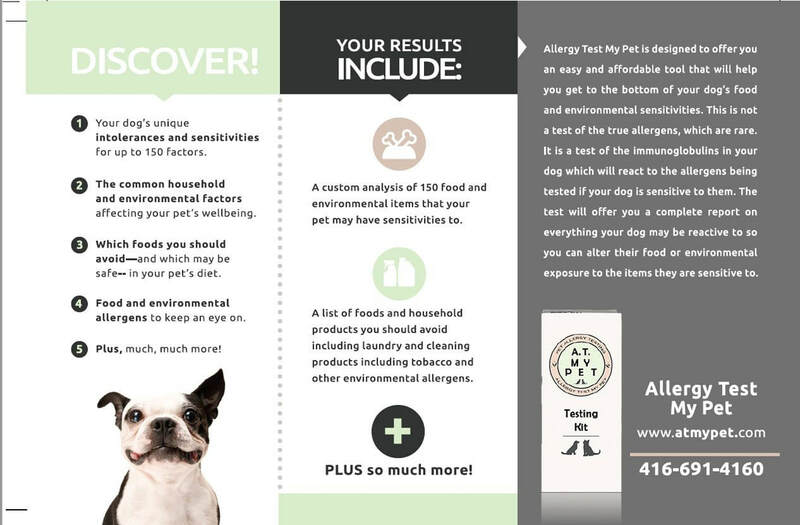 Allergy Test My Pet is designed to offer you an easy and affordable tool that will help you get to the bottom of your dog’s food and environmental sensitivities. This is not a test of the true allergens, which are rare. It is a test of the immunoglobulins in your dog which will react to the allergens being tested if your dog is sensitive to them. The test will offer you a complete report on everything your dog may be reactive to so you can alter their food or environmental exposure to the items they are sensitive to. A custom analysis of around 100 food and environmental items that your pet may have sensitivities to. A list of foods and household products you should avoid including laundry and cleaning products, tobacco and other household items. CCRC is a 501(c)3 non-profit dedicated to saving the lives of as many shelter dogs as possible.